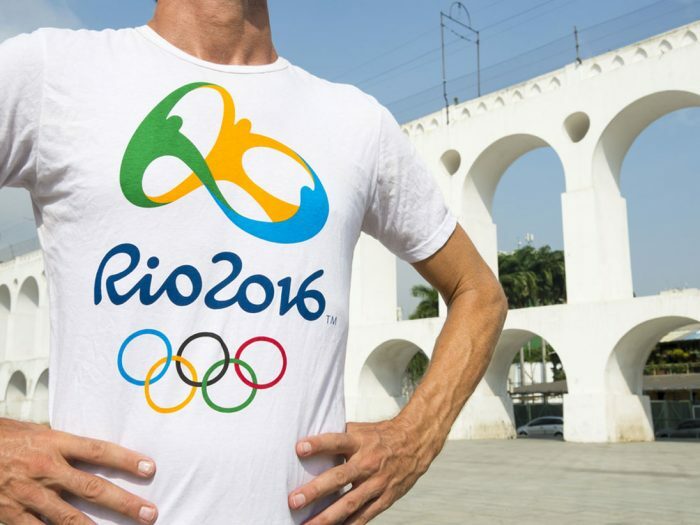 Rio 2016 shattered all records across the social media spectrum with athletes giving their everything to make it to the Mecca of sporting events. Countries and fans rally behind their athletes who strive to attain glory for themselves and their nations. Heartwarming stories of individuals fighting the odds and making it to the top, making their respective countries proud have been streaming across social media. Record breaking performances, drama, controversies and glory have never been in short supply during the Olympics. Rio 2016 witnessed no exceptions in that particular category as it has been trending consistently since day one. We bring you a Twitter timeline of events from the Rio Olympics, that captured the attention of Twitter users across the globe. The highs and the lows that make the Olympic Games the greatest sporting event that every athlete aspires to perform and win at! The International Olympics Committee gave the refugees a chance to participate in the Rio Olympics. Not only did they give them something to look forward to but the chance to bring the attention of countries across the world towards their plight. For the first time in the history, the Refugee Olympic Team is competing at the Olympics. Shobhaa De’s tweet criticizing the Indian contingent did not go down well with Twitter users and faced severe backlash. As the Games commenced, the Egyptian Beach Volleyball players made the news for their unusual apparel as they played wearing full body suits and hijabs. American swimmer Ryan Lochte shocked the world when he claimed he was mugged in the city of Rio De Janeiro. Joseph Schooling, the bespectacled little kid from Singapore who met his idol in 2008 truly made his idol proud when 8 years later, he beat Phelps to take the Olympic Gold. Michael Phelps : The most decorated Olympian in history? Michael Phelps claimed his 23rd Olympic Gold to chisel his name into the history books forever. After the dismal performance of the Indian contingent caused much pain to the entire nation, Dipa Karmakar made a biliion people smile and a billion people pray for India’s first medal at Rio. Twitter users rallied behind the Tripura born gymnast who was the only gymnast to represent India at Rio. Congratulations #DipaKarmakar you have made your country and your people proud Jai hind ?! The world’s fastest man did the unthinkable when he smiled for a picture mid-race and still won! The popular TV show host and celebrity tweeted a picture of herself on Usain Bolt’s back which did not go down well with Twitter users who accused her of being racist. Ellen later clarified she did not mean to offend anyone and she is far from being racist. After Dipa Karmakar, the hopes of a billion people rested on the shoulders of wrestler Sakshi Malik and she made us proud, winning a bronze medal in the Women’s Freestyle Wrestling competition 58kg category. Shobhaa De’s unsavory comments about Indian athletes did not go down well with a lot of people, and when Sakshi Malik won the Bronze medal for Freestyle Wrestling, Virender Sehwag and Amitabh Bachchan hit two birds with one stone, congratulating Sakshi and politely taking a dig at Shobhaa De’s ‘selfie remark’. Anand Mahindra congratulated Sakshi Malik on her grand achievement, promoted his brand Mahindra and rewarded the young athlete all in a day’s work. P.V.Sindhu raised India’s hopes for a first Gold medal this Olympics by entering the finals of the Badminton event. After an internet troll tried to ridicule Saina Nehwal for crashing out of the Olympics with an injury, she showed class by responding to him with in a polite manner. It was one rollercoaster event with lots of highs and a few lows but, the Olympics never cease to disappoint us in anyway. The Games are yet to be concluded and we are sure there will be lots of exciting incidents to tweet about!